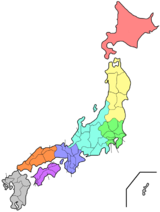 Nara Prefectur (奈良県, Nara-ken) is a prefectur in the Kansai region o Japan. The caipital is the ceety o Nara. Nara Prefectur haes the distinction o havin mair UNESCO Warld Heritage Leetins than ony ither prefectur. ↑ Nussbaum, Louis-Frédéric. (2005). 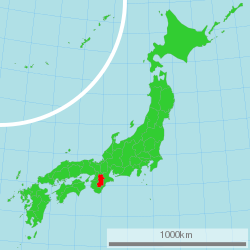 "Nara-ken" in Japan Encyclopedia, p. 699 at Google Books; "Kansai" at p. 477 at Google Books. ↑ Nussbaum, "Nara" at p. 698 at Google Books. ↑ "Nara". GoJapanGo. Retrieved June 19, 2012.